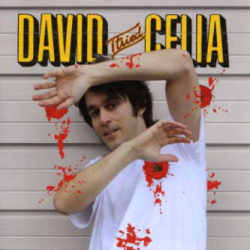 David Celia may be a Canadian, but his third album I Tried sounds rather half British, half American. While I am very pleased with his British side a little reminiscent of the Beatles, I expect his American side should find more friends among fans of country music. The CD begins right away with its strongest track, Turnout, which wouldn’t have been amiss on Sgt. Pepper's Lonely Hearts Club Band. Furthermore I also want to point out David Celia’s voice reminding me of Robert Pollard. Another standout song is Sergio on which the maestro underlines his sure hand with melodies. More highlights are the retro sounding Séverine with its ragtime elements (in English and French language) and Running Out Of Time with its psychedelic weed smoke vibe. Unfortunately David Celia is unable to maintain this high level throughout the record which contains in my opinion too many quiet moments. Some succeed rather nicely, like the sentimental Wishful Thinking with its parallels to Todd Rundgren’s Utopia. The same can’t be said about four other tracks. I’m Not Texan and Instant Puppy Love are too country for my taste, while Crush and Bug’s Apocalypse are so tame that they fail to keep my attention. David Celia is certainly one of the more rewarding singer/songwriters, but I have often the impression that he is withholding his full potential. Especially the mellow pieces are too minimalist and pull down the overall high quality. Next time around, it would be advisable if Mr Celia showed himself even more from his playful side.